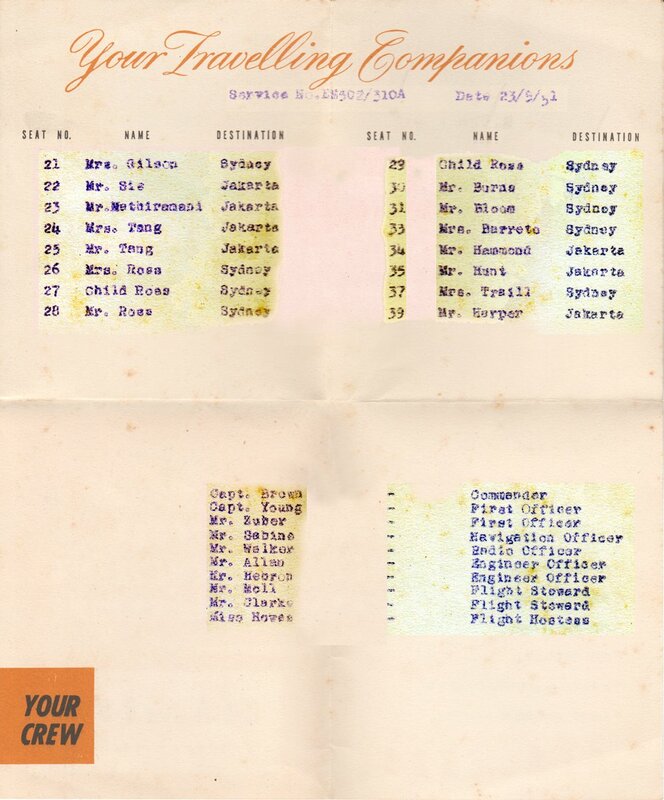 This document from Qantas Service Number EM502/310A on 23 May 1951 lists the names of all the passengers and crew. Today, privacy and security considerations alone would make such a document impossible! The flight was evidently operated by a Lockheed 749 Constellation but unfortunately the registration of the aircraft is not recorded on the document. A typical EM502 departed London at 0930 on a Tuesday for Rome, Cairo, Karachi, Bombay, Calcutta, Singapore, Djakarta, Darwin and Sydney where it arrived at 0730 Saturday. 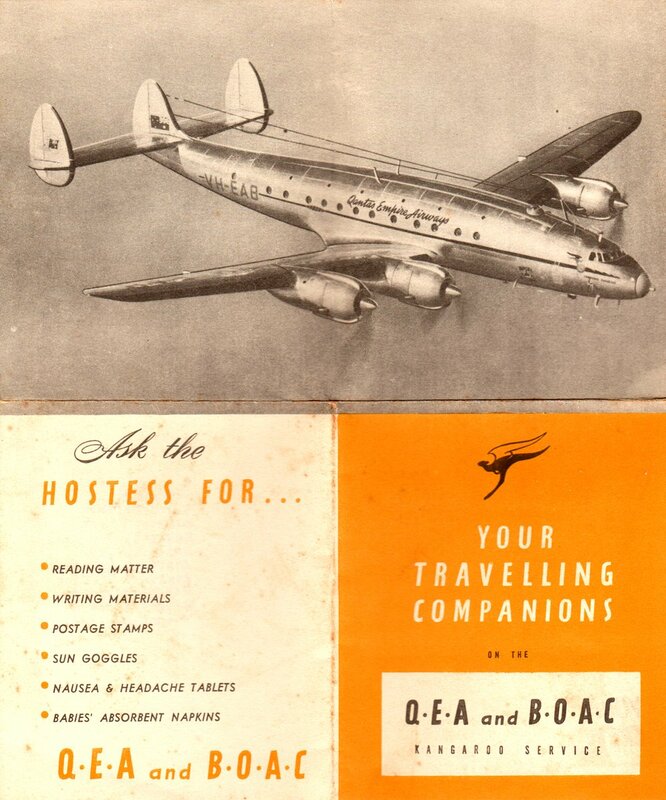 Qantas Captain Jock Ross and his family were passengers on this flight. The typewritten sections of the original are very faded so these areas have been enhanced for legibility.